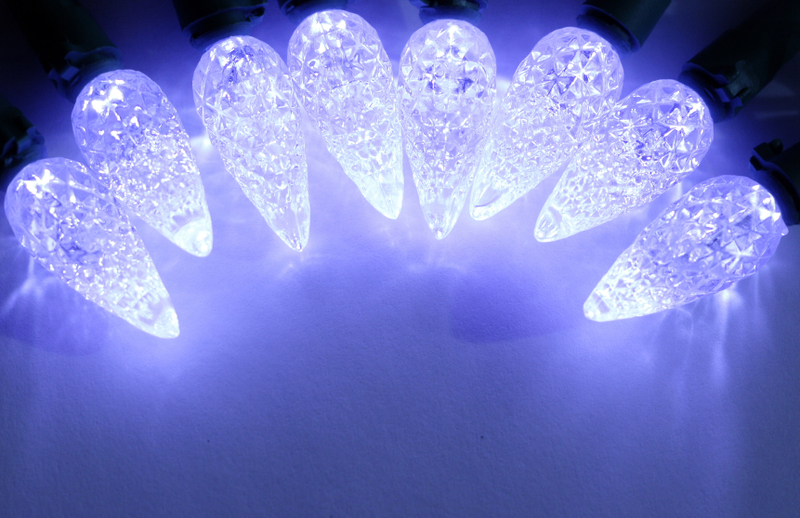 Buy LED holiday lighting and get a rebate on qualifying purchases! 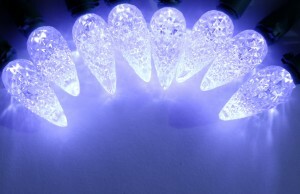 LED holiday lighting uses 75% less energy than standard light strings, which can save you up to $21 per month (depending on usage). Plus get a rebate of up to $12 per string from RPU. The RPU Service Center will be closed on Wednesday, November 11 in observance of Veteran’s Day. The Service Center will be open again on Thursday with normal business hours. As always, payments can be dropped off at the Service Center in the outside drop box. Payments can also be made online through the RPU Online Access Center. View your bills, make payments, and much more. ROCHESTER, MN— The Rochester Public Utilities (RPU) Board will consider approval of the 2010 electric and water budgets at the special November 10 meeting. The 2010 budget recommendations no rate increase for the electric or water utility. The recommended electric budget for 2010 comes despite an increase from RPU’s wholesale power supplier, Southern Minnesota Municipal Power Agency (SMMPA) of four percent. This will increase RPU’s purchased power costs to over $91 million in 2010. Purchased power equates to roughly 68 percent of RPU’s total budget expense. In addition to absorbing the SMMPA increase, RPU plans to make internal reductions and cuts by continuing cost reductions made in 2009, not increasing workforce, and through employee furloughs. Reductions and efficiencies made to keep the budget at 2009 levels will not compromise certain core pieces of RPU’s business. RPU will continue to invest in safety, training, and equipment for employees, work diligently to meet the state mandate for energy conservation of 1.5% of kilowatt- hour sales, maintain a high level of customer service, and improve reliability through expansion of transmission initiatives such as CapX2020. “We are well aware of the tough economic times that our customers are experiencing and we chose to be proactive and develop a budget that doesn’t include a rate increase for 2010. Thanks to the foresight of the Utility Board, RPU is in a strong financial position to meet the challenges that are ahead. We feel that this approach is in the best interest of everybody and will ultimately ease the financial burden for customers, as we all work to get through these tough times,” said Larry Koshire, RPU General Manager. A change in water rate structure will be proposed in early 2010 to meet the state mandate for water utilities to implement a water conservation rate structure. The proposed rate structure will change the amount certain customer classes pay for water. The rate structure will be put in place to incent customers to conserve water and will charge higher usage customers for the increased use. The RPU Board will act on the proposed electric and water budgets at a special November Board Meeting on Tuesday, November 10 at 4p.m. at the RPU Service Center. Final budget approval will come from the Rochester City Council on November 16 at 7 p.m.
For more information on RPU, the proposed 2010 budget, or the water conservation rates, please contact Tony Benson at 507-280-1534 or email at tbenson@rpu.org. ROCHESTER, MN—Already near the top of the American Customer Satisfaction Index (ACSI), Rochester Public Utilities (RPU) shows improvement in the third quarter rankings to remain as one of the best utilities surveyed by ACSI for overall customer satisfaction. The ACSI ranks utilities from across the nation based on surveys conducted covering customers perceived quality, perceived value, and customer expectations. The RPU combined ranking for third quarter 2009 was 80, up one from a second quarter ranking of 79. The industry average of the other utilities surveyed was 74. “We are very proud of our third quarter ACSI ranking. The ranking is a direct result of the hard work of many dedicated employees. We take great pride in knowing that we are doing well satisfying our customers, but we are continuing to find better and more efficient ways to meet their needs,” said Larry Koshire, RPU General Manager. The ACSI is a national economic indicator of customer evaluations of the quality of products and services available to household consumers in the United States. The index is managed by the University of Michigan Business School and sponsored by the American Society for Quality. You are currently browsing the Rochester Public Utilities | Behind the Meter blog archives for November, 2009.